There’s something about The Monastery that envelops you as soon as you walk through the door. It’s almost magical. Every visit and every event becomes special, and creates memories you’ll never forget. 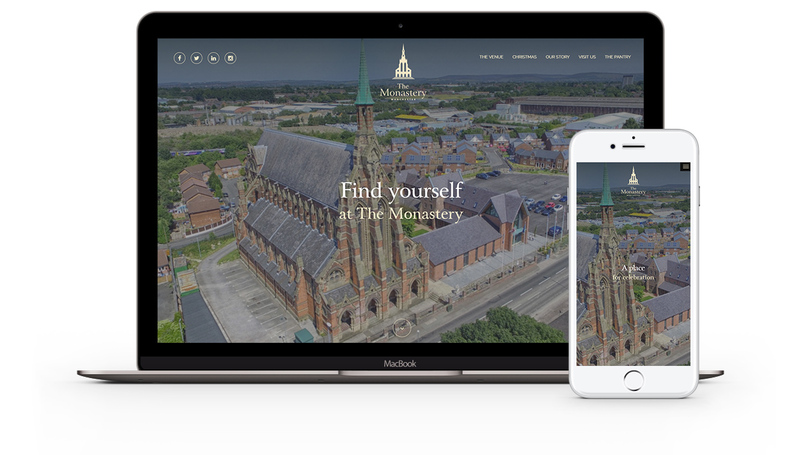 The Monastery is located in the heart of the great community of Gorton but is also at the centre of a global community built on the same values of love and respect. We created a stunning website built in WordPress that showcases the beauty, the majesty and the prestige of the wonderfully restored venue. The site works perfectly on all different devices, and is secured via https. Pixel Kicks took the time to visit us and immerse themselves in The Monastery brand, and then came back after a short period of reflection with a perfect suite of design ideas. It’s always difficult to convey what you want as a creative outcome, and even harder for others to ‘get it’. It requires a rare brand of creative instinct to achieve that, and Pixel Kicks certainly have it. They then executed the agreed brief to perfection. Great choice. Great result.